Manufactured for postal or courier transport, mailing bags are tough, water resistant, light and easy to use with a self-sealing adhesive strip. Then we can make it! Complete the printed mailing bags form and we'll send you some samples, agree a design at a price that suits you and then manufacture it all for you! We stock envelopes in all styles, shapes and sizes. 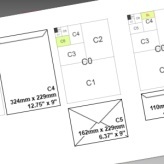 Check out our useful guide on standard envelope sizes to help you choose the right envelope for your needs. If you want to look out for the environment whilst sending your post, take a look at our range of biodegradable mailing bags. Be kind to your pocket and to the environment. Since April 2013, any parcel or package sent in the UK has to be measured and weighed before postage costs are calculated. Previously, items were classified on the basis of weight alone, but Royal Mail introduced a new set of prices that they believed were more in line with the actual cost of handling and delivering items, taking into account the fact that some larger, lighter items need to be delivered by van. The changes led to some initial confusion amongst consumers used to the old posting measures, whilst subsequent changes merely muddied the waters further. In October 2013, Royal Mail introduced a second small parcel size to allow people to post either wide, shallow parcels (max 45cm x 35cm x 8cm) or narrow, deep parcels (max 35cm x 25cm x 16cm) as a small parcel. Thankfully, these two 'small' sizes were replaced by a single small parcel, which combines the larger dimensions of the previous versions (max 45cm x 35cm x 16cm). This forms part of a more straightforward pricing structure, which we summarise for you below. The following guidelines should help you calculate your postage and avoid unexpected delivery costs. Please note that prices are subject to change (see 'Royal Mail postage costs' table for the latest prices) but, until further notice, the classification of parcels remains as follows. All parcels to be posted are classified as either small, medium or large - based on both their weight and dimensions - and the cost of postage calculated accordingly. Large parcels: Any parcel exceeding just one of the maximum allowed limits for a medium parcel will be considered a large parcel. Large parcels must not exceed 30kg in weight, 1.5m in length or 3m in length and girth combined. Large parcels can only be posted on Parcelforce Worldwide services. Cylindrical parcels: Any cylindrical or rolled parcel must not exceed 90cm in any dimension, whilst the length of the parcel plus twice the diameter must not exceed 104cm. For example, a parcel that is 80cm long with a diameter of 12cm is allowed [80cm + (2 x 12cm) = 104cm] whilst a parcel that is 85cm long with a diameter of 10cm is not allowed [85cm + (2 x 10cm) = 105cm]. For further details, visit royalmail.com/prices. Other services: Other Royal Mail services available include UK Guaranteed, UK Confirmed, a range of International services (Economy Standard, Tracked & Signed) and Parcelforce Worldwide courier services. For further details, including package dimensions and prices, visit royalmail.com/prices. 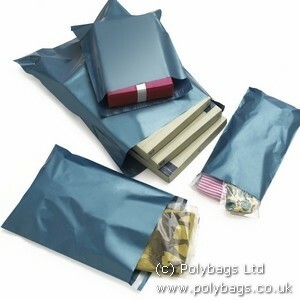 Polybags has loads of options for mailing bags in a range that includes lightweight polythene mailers, Mailtuf for heavy duty mailing, Mailbudget for economic 'Peel n' Seal' style envelopes and opaque Tamper Evident mailers to protect the contents and ensure it is only opened by the right person. 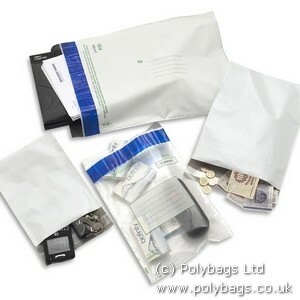 As featured on Polybags.co.uk the glossy blue mailorder bag is a top selling strong lightweight bag available in a range of popular sizes which is great for internet or mail order businesses. Mailing bags come in a wide variety of styles, shapes and sizes and can be made from a wide variety of materials that include paper, plastic, vinyl and canvas, as well as others. They are designed according to the different types of products that need to be posted. Mailing bags have many functions that also go above and beyond just safely transporting your package. These additional functions range from protection of the product from weather or punctures to getting out a sales and promotional message. Plastic, or polythene mailing bags are becoming quite a popular choice in today's business world as well as a popular mailing bag choice for personal mailing needs as well. 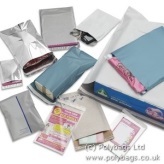 This is due to the wide variety of choices on the market today in the types of available polythene mailing bags with a wide range of sizes and colours. Their additional features also appeal to many different customers for a wide range of uses, both business and personal. There are so many choices for polythene mailers available on the market today that you should be able to find the right product to meet your particular needs. Plastic mail order bags can be clear or coloured and come in a wide range of sizes from smaller than an envelope to quite large. 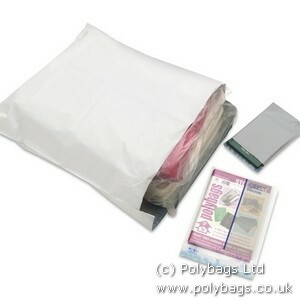 They can also be high or low density polythene, flat, ziplock or zipper mail bags, gusseted, reinforced and cushioned. Some are also made with laminated paper. Clear plastic mail bags work great for sending magazines, brochures, newsletters or any other type of mailing in which it may be to your advantage to use clear packaging. Usually these clear plastic mailers are highly tamper resistant and come with a self seal. You can attach address labels or you can also use their write on panels for addressing your packaging. Perhaps the type of mailing you do on a regular basis is a bit more confidential or you mail a different type of product in which clear plastic mail bags will not work for you. There are so many other options available in colored plastic mailing bags for you to choose from as well that you're sure to find the right product for your needs. Along with the various types available today, they can also be pre-printed. You can have your return address or a personalized message designed on your polythene bags. This can also be a great marketing tool as you can add a company logo or slogan and promotional messages that will be highly visible as you package travels to its destination. These custom-printed polythene mailing bags can be printed in large quantities on just about any type of plastic mail order bag you may need. Plastic mailing bags can also be made to look highly professional and very attractive to your customer base, no matter what type of polythene mailer you use. 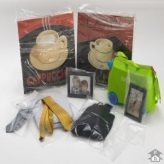 Sometimes businesses also use custom printed plastic mail bags as business and corporate gifts to employees or other businesses as the message can be personalized in any fashion needed for any occasion. 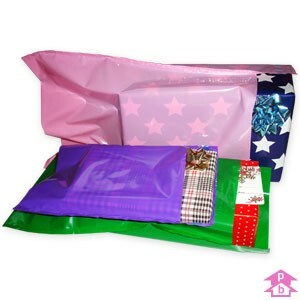 Coloured mailing bags - bring your parcels to life! Nothing cheers you up more in the morning than when the postman delivers a lovely parcel - except when that parcel is bold, vivid and brightly coloured! You too can bring a smile to your customers' faces and make your mail stand out from the rest with Polybag's fantastic range of coloured mailing bags. Available in a range of colours including baby pink - perfect for packaging baby presents and other gifts - and eco green - ideal for sending eco-friendly goods or home and garden products. The classic glossy blue mailer gives your deliveries that slick, professional look, or you could choose vibrant purple to really stand out from the crowd. If you want another colour, no problem - just ask and it will be made just for you. Life's too short to stick with shades of grey. Pick your colour, order your mailing bags and bring your parcels to life! Get a box of Santa's favourite sacks for FREE! 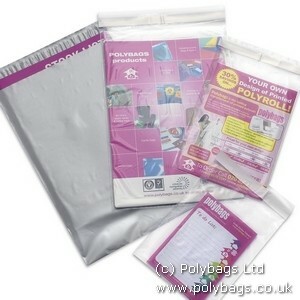 We've teamed up with www.polybags.co.uk, our parent site, to give you fabulous Christmas offer! Place any online order for mailing products or any other packaging products with us or Polybags and get a free box of 200 Premier Quality Heavy Duty Bin Bags! Order must be for £60 or more (excluding VAT and any Delivery). Standard UK delivery is free with no minimum order for most of the UK! Get 20% off black mail sacks this Christmas! We've teamed up with our parent website Polybags.co.uk - the UK's number one polythene packaging manufacturer - for a fantastic Christmas offer! You can get 20% off black security mail sacks on all orders over £75. That's 20% off the smart and secure black polythene mailers that provide content confidentiality and great bag strength. You can claim the offer right now at Polybags.co.uk - simply apply the voucher XMASMAIL16 and then choose your mail sacks. The discount will be automatically applied to your basket once the order reaches £75. Limited time offer. Strictly one voucher per customer. If you are sending a card or present to a loved one this Christmas, or if you need to get a delivery to a customer before Santa gets there himself, the Royal Mail's last Christmas posting dates are an important addition to your calendar. The table below lists the all-important dates for regular UK services and international services (formerly Airmail). For further information visit royalmail.com/greetings. Other services: Other Royal Mail services are available, including International Economy (formerly known as Surface Mail), Contract Surface Air Lift and International Standard HM Forces Mail. For last posting dates on these services and further information on Christmas mail services, visit royalmail.com/greetings.